When doing business in a social era, embracing social media is similar to embracing profitability. Simply put, businesses are now expected to engage audiences via social media. Businesses that don’t are buffering their ability to turn their audience into customers. Social media has played a significant role in how we do business in a social era. From the way in which we communicate, gather marketing insights, and sell products and services, social media must be considered when engaging your audience. Have you noticed how social media is a conduit that brings niche groups together to share information, debate and get their questions answered? Well if you have, then you noticed how the game has changed. Now people have numerous choices for what they consume which greatly affects the marketplace. Now product and service innovations start from the bottom up. Meaning, social media is a breeding ground for innovation and insights which lead to the creation of narrowly targeted products and services. All of which have changed the consumer marketplace. Here are examples of companies that are thriving in the social era: AirBnB, Uber, and Waze. In business we all know that understanding your audience is important; however, in a social era, it’s critical—particularly for organizations with target audiences 15-45 years of age. It’s important that you do not provide a business for your audience in a social era. Your audience is your business. I come across many organizations that do not center their businesses around the consumer and fail as a result of not creating meaningful relationships with their audience. Transparency is key to doing business in a social era. Why? Well, because people like doing business with people they know and like. Said a different way: people like to do business with people. Does your brand have personality? Is it personable? Does it have swag? Well maybe it doesn’t need swag but I think you know where I’m going with this. In a social era, being human has its benefits. It will foster stronger relationships with your audience because it’s easier to relate to another human over anything else. 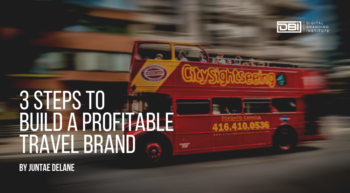 If you’re an established brand that has done business long before social media was created then there’s no need to spend a boat load of money to humanize your brand. Start with being transparent and see how your audience responds. Your audience is expecting your presence on social media. Your audience is expecting you to respond to them on social media. Your audience is expecting you to understand them and how they utilize social media. Your audience is expecting you to be authentic. There is one common attribute that thriving businesses have in a social era: they were founded in a social media era or have a developed, robust social media strategy. 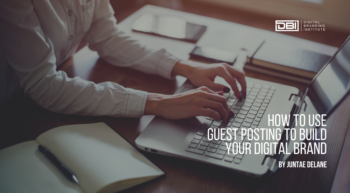 If you are on the outside looking in, you are ultimately limiting your business by not engaging your audience in a way in which they are accustom. I know there are more ways of doing business in a social era. What would you add to this list?